Herzlich willkommen! Vielen Dank für das Betrachten unserer Eigentumswohnung! Wir würden lieben, Sie kommen bei uns bleiben! Die unverbauten Blick auf Lake Dillon und die Gebirgskette von jedem Fenster wird Ihnen den Atem rauben! Im Inneren finden Sie eine komplett renoviert, sauber, gepflegt zwei Schlafzimmer, zwei Bad Eigentumswohnung, die ist schön mit rustikalen Möbeln und Ihren Komfort und Gemütlichkeit im Auge verziert. Wir haben vor kurzem alle Wohnzimmer, Esszimmermöbel und alle Matratzen ersetzt! Es befindet sich in Frisco, Colorado am Lake Forest Condominiums entfernt. Das Schlafzimmer verfügt über ein neues Plüsch Kingsize-Bett, ein eigenes Bad, 50 "HDTV. Das zweite Schlafzimmer hat zwei neue Queen-Matratzen, Vollbad und einen separaten Waschtisch, 40-Zoll-HDTV mit Internetzugang zu NetFlicks, YouTube, iHeart Radio, etc. Die Ess-und Familienzimmer haben ein bequemes Sofa, Sessel und Drehwippe, ein 65 "HDTV, das bietet NetFlix und iHeart Radio, einen DVD-Player, kostenfreies WLAN und einen Gas-Kamin. Die Küche ist komplett ausgestattet für Ihre Gourmet-Bedürfnisse und hat eine Keurig Kaffeemaschine. Die Wohnung hat auch eine Waschmaschine und Trockner, eine Garage, Gasgrills im Freien und drei Whirlpools auf dem Hügel mit Blick auf Lake Dillon und der Rocky Mountain Ranges thront. Wir haben nichts in unserem Versuch, um Ihren Aufenthalt komfortabel, unvergesslichen und angenehmen verschont. My wife and I enjoyed our stay last week. The Condo was very comfortable and cozy - and has a great view of the lake. The kitchen had everything we needed. The bed was comfortable. It is located close to supermarkets and amenities, yet is secluded on the edge of Frisco. This was the perfect location to ski Keystone and Breckenridge. It was well equipped with all that we needed and plenty of room for a family of 5! Great place to stay!! Great stay for family of four! We really enjoyed the space and view of the property. The location was really close for multiple activities in Frisco and Breck. The beds were comfortable and our teenage daughters loved having their own queen size beds and a TV in every room. We used the gas fireplace every day. All our needs were met with kitchen supplies. There were hooks around the condo to hang wet/snow clothes although more in the entryway would be useful. If we return to this area we will stay here again. Perfect property - Perfect location! Property was perfect for 3 of us. 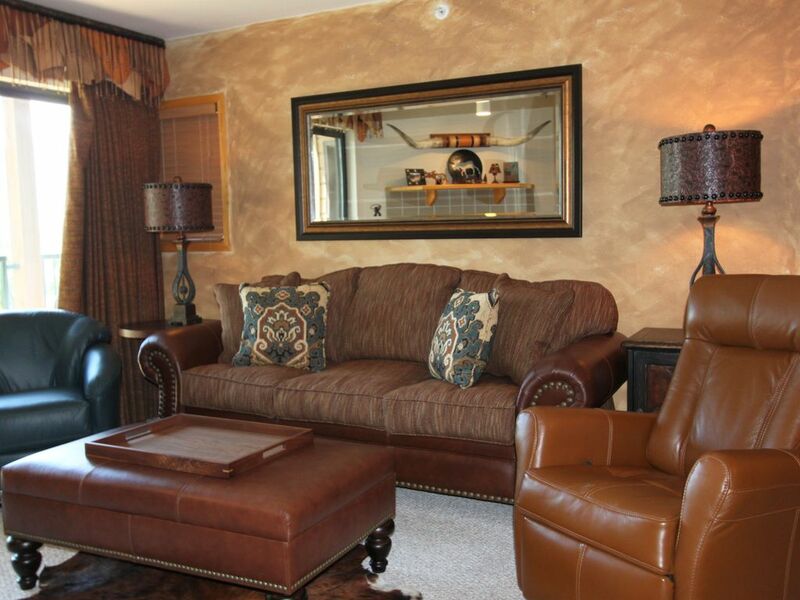 Fantastic location with access to multiple ski resorts, I70, and shopping for groceries etc. It really could not be better. Perfect setup for 3 of us as well. Will definitely rent again if back in the area. The pictures don't show how great this property really is. Jennifer is super responsive as well! The property was nicely laid out and had everything we needed! It was easy to communicate with the owner and we were given all the information we needed before we traveled. We loved the convenience of the property ‘s location. Easy to get to Breckenridge and Copper Mt. plus lots of restaurants and stores nearby! Beautiful condo with SPECTACULAR view! You could not ask for anything more!! So very clean!! Spacious, well decorated, STOCKED with anything you could need from humidifiers (for us FL visitors) to heating pads to extra pillows and blankets, spices, kitchen had every kind of gadget, fireplace, and our personal favorite...the outdoor hot tub!! Centrally located in Summit county, about 15/20 minutes to Breckenridge and Keystone. We visit once a year and will be sure to see if this place is available above and beyond any other choices!! Thanks for a beautiful place to stay while we made my parents dream come true!! They would have been happy to sit by the fire and gaze at the scenery without leaving the condo!! Die Schönheit der Gegend und das ganze Jahr über Aktivitäten, was zeichnete uns, Summit County. Im Winter sind Sie nur wenige Minuten von mehreren Weltklasse-Skigebiete, Breckenridge, Arapahoe Basin, Keystone, Loveland (15 Minuten), Copper Mountain (10 Minuten), Vail und Beaver Creek (30 Minuten). Genießen Sie auch Langlaufen, Schneeschuhwandern und Eisfischen. Im Frühling und im Sommer, Fahrrad dem Summit County Radweg, oder Boot, segeln oder Fisch, quer über die Straße, am Lake Dillon. Golf, Wildwasser-Rafting und Wandern sind wenige Minuten entfernt. Das ganze Jahr über, viel Spaß beim Einkaufen in den malerischen Boutiquen oder in Silverthorne von 90 Factory Outlet Stores (3 Minuten). Thank you for your patience as I learn the new procedures required by vrbo and enable online bookings. If your stay is close to 30 days of your arrival, 100% of your payment will be required. We will ask for your home address and cell number. Please let me know if you have any questions or call me at. Prices subject to change without notice until reservation is confirmed.